The radiator is an integral part of your vehicle, without it your vehicle would not be able to effectively operate. The radiator is perhaps the most important part of your vehicle’s cooling system, or the system that is designed to keep your engine running cooling. Without a cooling system the engine would eventually overheat and result in significant damage to the metal components within the engine. As a part of the cooling system the radiator’s primary function is to transfer thermal energy to one medium to another which in terms of your automobile means that it takes heat out of the engine and distributes it into the air around the vehicle. The radiator in your vehicle works by taking in the heated coolant fluid that has already passed through the engine and cooling said fluid by allowing metallic tubes to absorb the heat. The cooled liquid that is produced by the radiator is then fed back into the again to absorb heat once again and the cycle continues. If the radiator is not functioning this critical cycle will be interrupted and the engine will begin to run hot. If the radiator in your vehicle fails you won’t be getting very far and if you try to drive with a broken radiator you will risk significant and costly damage to your engine. For the best radiator repair service in Venice give Rolling Auto Service a call. 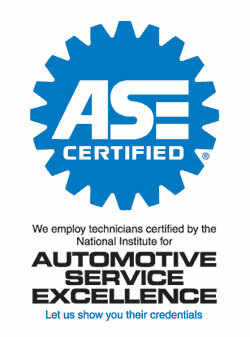 Our ASE certified mechanics can repair or replace radiators on a variety of different vehicles, including many of the most popular vehicles on the market. As a critical and complex automotive component the radiator often requires the work of trained professionals, especially in certain vehicles where it may be incredibly difficult to reach without the benefit of specialized tools. From radiator repair to radiator bleeding and radiator replacement our professional mechanics can do it all. Choose Rolling Auto Service for all of your Venice Radiator repair and replacement needs! Posted in Uncategorized and tagged ASE Certified, radiator, radiator repair, radiator repair Venice, radiator replacement, radiator service, radiator service venice, Rolling Auto Service on December 15, 2012 at 11:19 pm by Rolling Auto Service.